Of the half dozen times I have been to Moab my latest visit was the first time I had the ability to drive some of the areas back roads and discover some amazing landscape. On my last visit I picked up a copy of Charles Wells book Guide to Moab, Ut Backroads & 4-Wheel Drive Trails and have spent some quality time reading it’s contents. 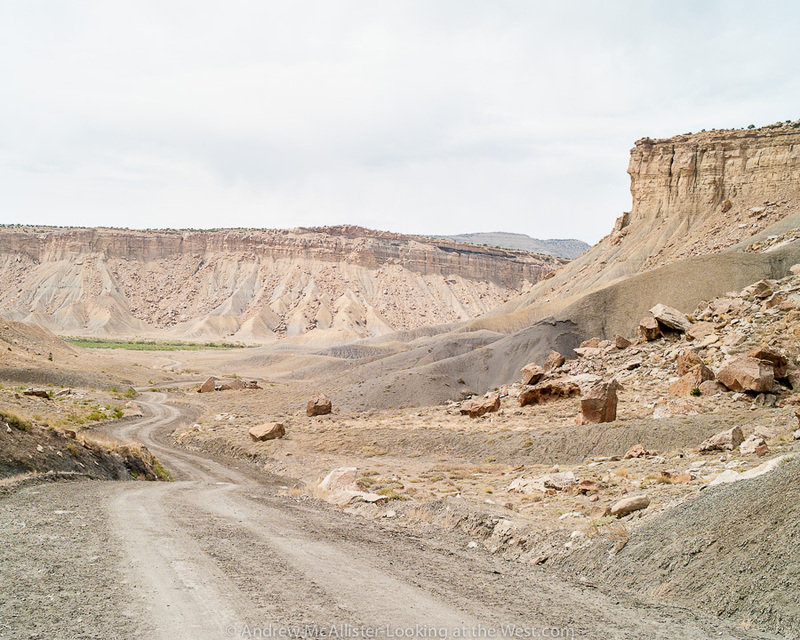 The first trail in the book is the Book Cliffs & Sego Canyon (suitable for stock 4-wheel drive SUVs). 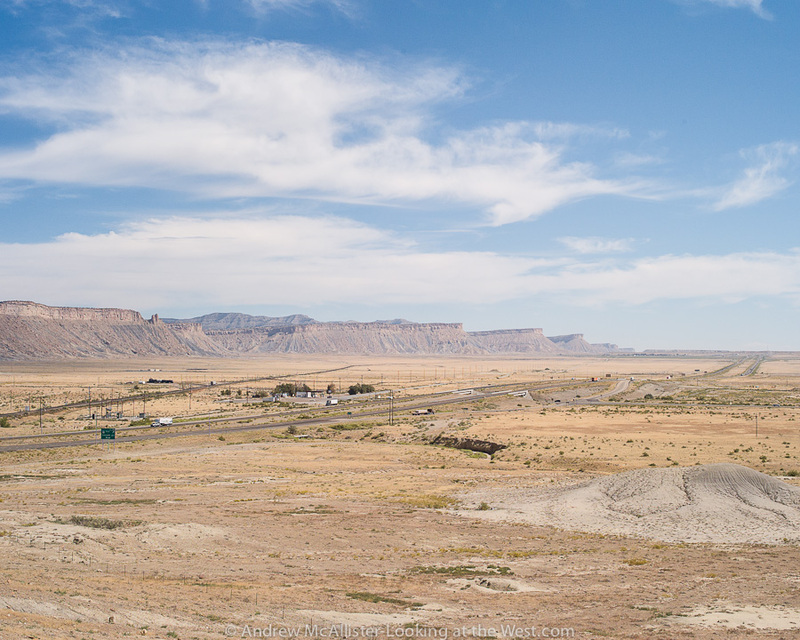 The above image shows the Book Cliffs and Crescent Junction as seen from the I-70 rest area. By the time I get here I am ready for Moab, however this time Moab would have to wait for several hours. 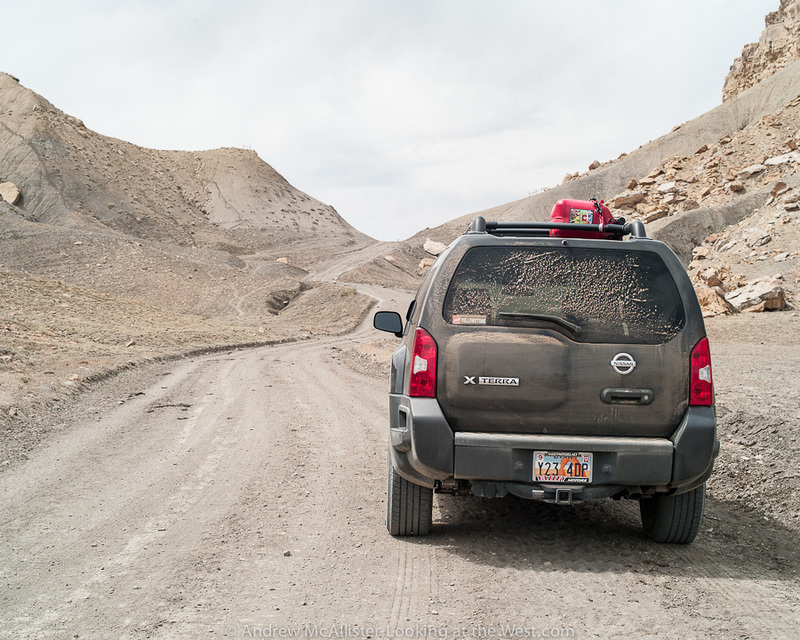 Above image: the Xterra at Thompson Pass with the first trail dust of the trip. Below: The road through Thompson Pass to our first waypoint. From there we would follow a wash for a few miles then climb up to the top via a steep windy section of the trail. The trail goes through some great scenery as it winds along and is fun to drive. Having to keep an eye on the road I did not stop for many pictures. Highlights included spotting a Pronghorn and an Eastern Collard Lizard. After about 20 miles a small trail leads out to the overlook below. The Trail was challenging in a few areas with tight turns, rocks and small ledges. Being new to 4-wheeling, I’m still getting to know the Xterra and what it is capable of when it comes to clearing rocks so I took it easy. At a point about 3/4 of the way to the overlook I came upon some larger rock ledges an decided to walk the rest of the way. As I reached the overlook the wind picked up and it looked as if rain could come our way. Not wanting to get stuck off the main road I cut my time at the overlook and got going. The rain held off and after viewing the rock art in Sego Canyon we headed back to the highway via Thompson Springs. 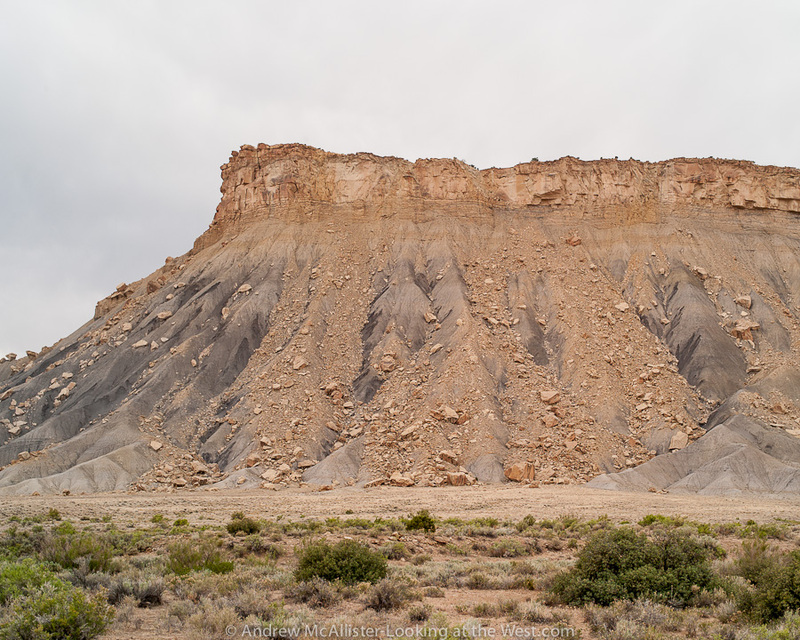 Below: parting photograph of the Book Cliffs at the mouth of Sego Canyon. At this point the cliff rises 800 feet from the desert floor. All photos in this post shot with the Leica M8. Oooh… you’re bringing back such fond memories of motorcycle and jeep rides from many years back. Thank you! 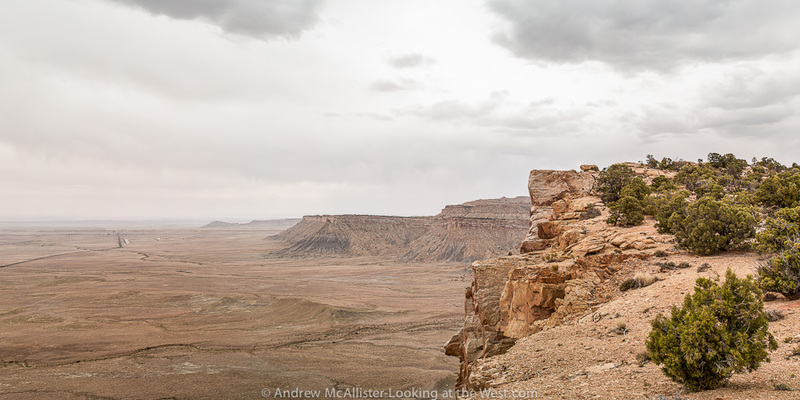 Great photos of a fabulous place, Andrew. I’ve spent a lot of time in Moab, but have done surprisingly little back road exploring (maybe because I never had the right car). Thanks for showing me what I’ve been missing. Glad to show you. I can’t recommend Charles Wells book enough. Pick it up if you want to start exploring the areas back roads. Thanks for commenting. Desolate, but magnificent, impressive and beautiful! Honestly, I think this is a great place to start building a new Zeon forward base, with all the open spaces to fill our Dom units!